Home / Youtube / 3 Biggest Update of YouTube 2019: What to do, what Not to do? Hey guys in this post you will know the 3 biggest update publish by YouTube in recent. So let's starts with it. 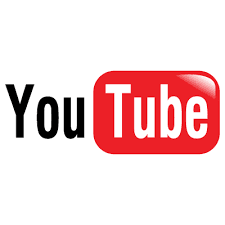 As you know that youtube is growing rapidly and every day new creator are joining this platform. So for that youtube also need to keep updating its policies. So in a Recent youtube have again taken some measures to keep it safe. 1. Custom Thumbnail - like before you had a right to keep thumbnails according to your wish. But from now if you keep such thumbnails which violent the policy of youtube you can get a strike, community guidelines or your channel can also get tarminated. 2. Including unwanted links in Description - if you include unwanted links in your video's description then you can get a strike, community guidelines. So do not include unwanted emails in video descriptions. 3. Chellenging Video - From now you cannot create a Chellenging videos which can be harmful to human beings. So this where the 3 update.